Vortex Optics AR15 Riser Mount with quick release lever is designed for mounting the Vortex Razor red dot sight onto any flattop style AR15 rifle. 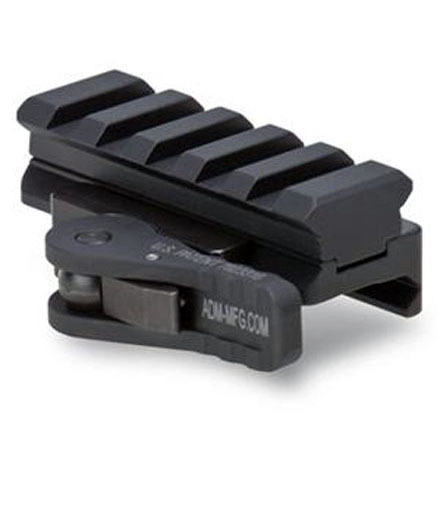 When used in conjunction with the Picatinny clamp included with the Razor, this mount positions the red dot of the Razor in the lower third of the field of view when co-witnessed with the iron sights. Precision machined from 6061 T6 aluminum. Hard coat Type 3 Mil-Spec anodized.